This is the same brochure as you would receive from your local Honda dealer. 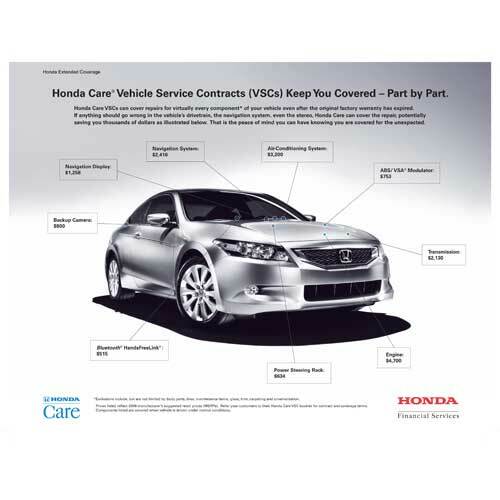 It gives a brief overview of what´s covered and gives the benefits of Honda Care coverage. This brochure gives just a sampling of covered components. 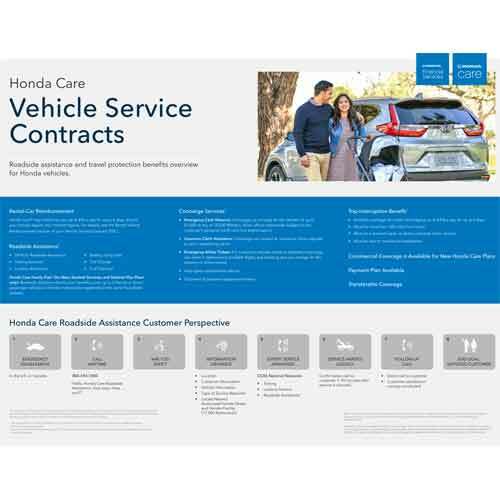 There is no list of covered components in the Honda Care contract, since everything is covered unless specifically listed as a non-covered item. 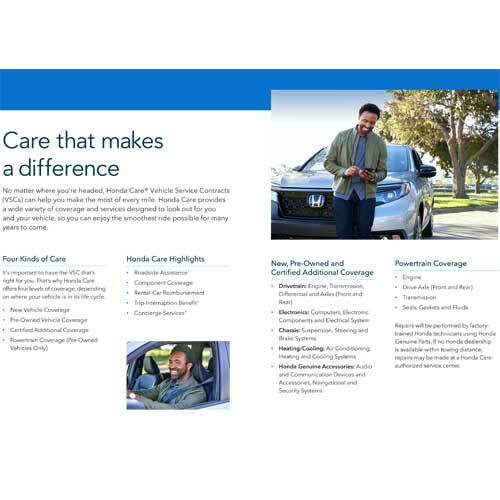 This brochure shows what the out-of-pocket expenses might be for repairs that would be covered by Honda Care. It shows some big ticket items like navigation, Bluetooth and backup cameras. 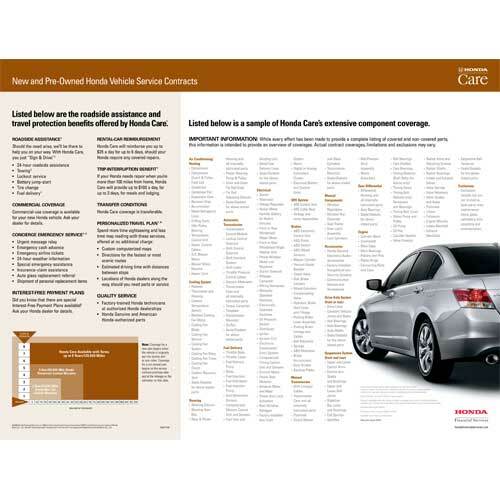 This brochure shows Honda´s Sentinel Plan which can be purchased in addition to or along with Honda Care component coverage. The Sentinel Plan offers you oil changes, road hazard tire protection and more. 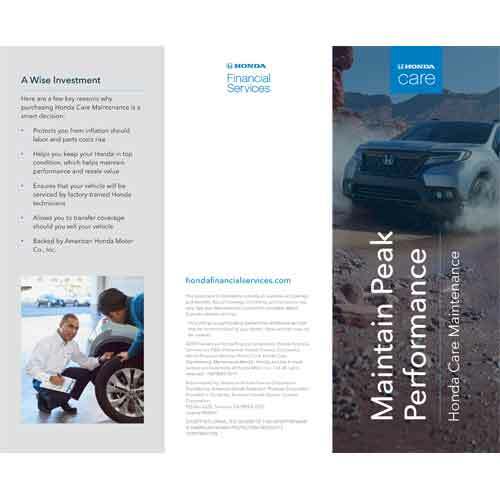 This brochure shows step-by-step what happens when you call for Honda Care´s Roadside Assistance, from dialing the number to Honda´s ultimate goal of customer satisfaction. Keep your Honda running like new and save money doing it with a Honda Maintenance Plan. Honored by most Honda dealers, this could the answer to the rising costs of routine maintenace. The required services listed in the owner´s manual will be covered. 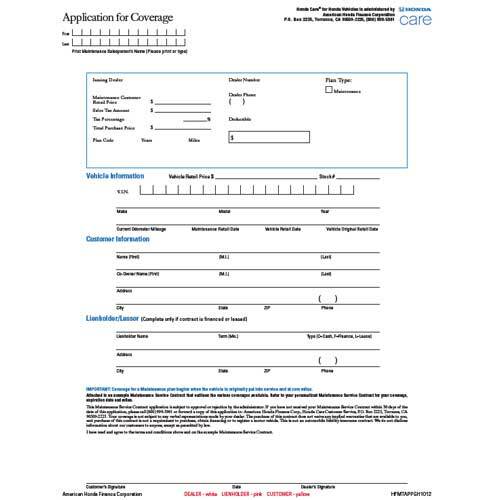 This is the same Honda Care application as you would see at your local Honda dealership. It also contains all the fine print from the contract. You should read this prior to purchasing Honda Care. Do not rely on any verbal representations. Honda care is transferable to a new owner in a private-party sale. 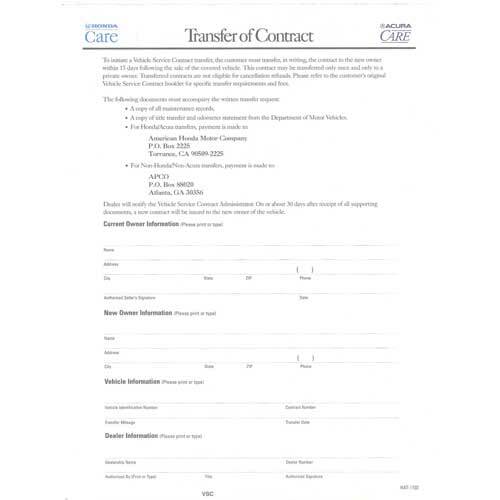 You can use this form to facilitate the transfer. 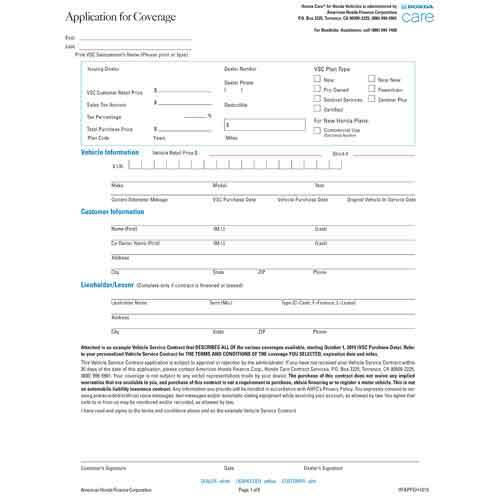 You should contact the dealer that originally sold the plan for help with a transfer. Honda Care Maintenance is honored at all participating Honda dealers and will cover the expense of all services as indicated by your vehicle´s Maintenance Minder System. You can select a term of up to 4 years, 60,000 miles. Click to view the pdf which contains all the contractual language. 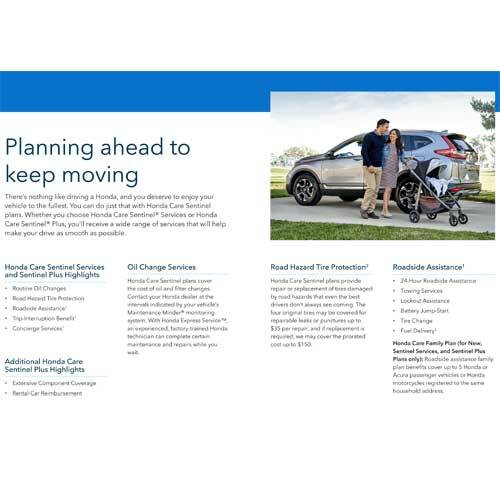 This is a sample of the booklet that you will receive from Honda after you have purchased Honda Care. 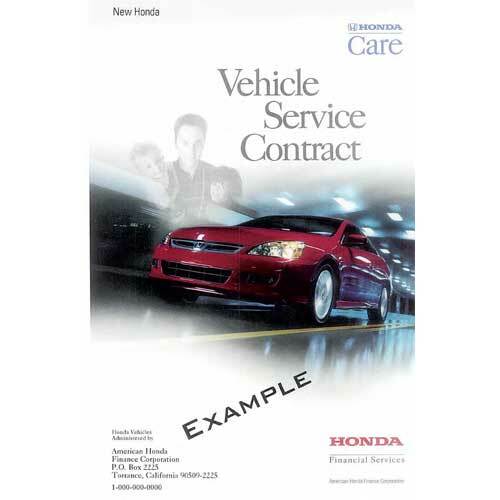 If you purchase Honda Care and do not receive this booklet, you should call 800-999-5901 for a reprint.